of Providence, RI. Freelove was the wife of Capt. 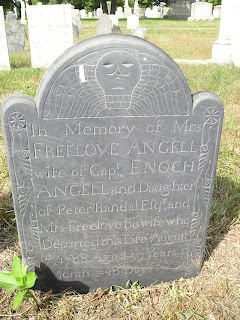 Enoch Angell, and the daughter of Peter and Freelove Randal. She is buried in the North Burial Ground in Providence.